Recently, by chance, I came across two separate articles which scientifically prove things I have known for years. First, it takes only 1/5 of a second to fall in love. And, second, being on the receiving end of “the silent treatment” causes actual physical pain since it stimulates the anterior cingulate cortex. Well I didn’t know the anterior cingulate cortex part, but I did know it hurt for real. As far as the love thing goes, no fewer than 12 different areas of the brain have to be engaged and working together, producing dopamine, adrenaline, changing thought patterns about the other person and your own body image as well as causing all sorts of nerve action to get those butterflies and palpitations going. All in a fifth of a second. The only surprising part to me is that someone spent money proving that. It’s so obvious. I know there are people who swear they were friends for years and then one day fell in love, but doesn’t that seem like even more of a fairytale than love at first sight? Once I’m dating someone, and assuming it’s good, the love thing either happens fairly quickly or it doesn’t. I know you have to get to know someone on a real level and all, but that’s still not something you have to wait months and months and months to know. I’m suspicious of people who feel that way. They’re probably equally suspicious of me. 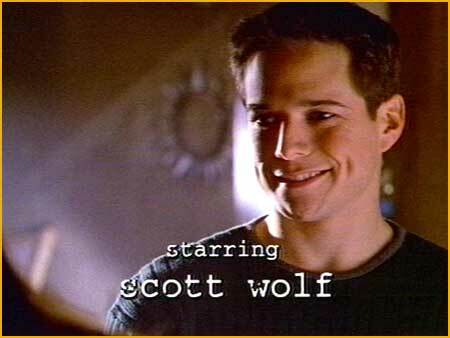 A few years ago, I shared a desk with someone at work who was the spitting image of Scott Wolf in his “Party of Five” era. Of course I took to calling him Bailey and even had a red heart shaped frame on my desk with the real Bailey’s picture in it so I could look at them both at the same time. Once, when my Bailey and I were out for dinner, he told me that his three favorite things were air conditioning, salt and paychecks and I knew we’d be friends forever. But recently he kind of changed my life. He had a party (of more than five) upstate a few weeks ago, for a very specific reason. 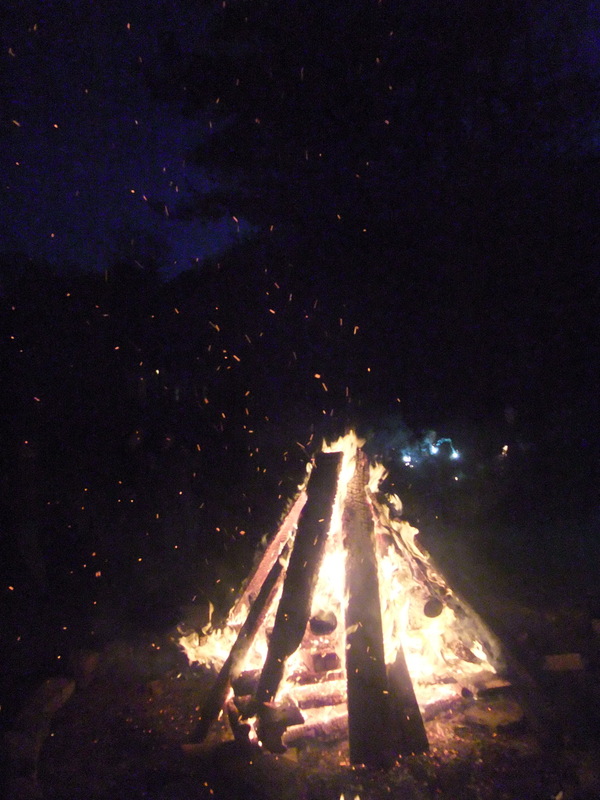 There was a huge bonfire and everyone was to bring something to burn. It could be anything – credit card statements, pictures of exes, a list of things you want to change – anything that was weighing you down. Because I have so many things that weigh me down, I had to bring three separate things to burn. The fire was large – maybe close to 6′ tall and it was hard to get close. The heat was extraordinary. But apparently so was its power. Literally as soon as I performed my little ritual, I felt lighter. Couldn’t have taken more than a fifth of a second. Placebo reaction? Maybe. But whatever the reason, it worked. Now my concern is that I’m going to have to have access to a bonfire weekly to maintain progress. The fire forced me think about my relationship to love. 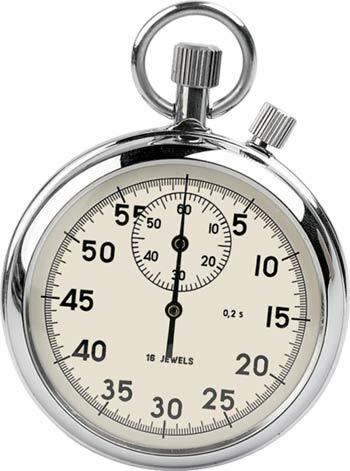 If there is scientific proof that falling in love can take only 1/5 of a second, then how long should you even bother to wait to see if it happens before you throw in the towel? And, conversely, shouldn’t it be easier to cut your losses after a short time rather than waiting, wishing and hoping, for someone to, you know, feel the way you do? I spent a couple years with a French guy would would make me Bûche de Noël at Christmastime and play chess and drink scotch with me the rest of the year, all with a French accent. But then he used that accent to actually say stuff like “I love you, but I’m not in love with you.” I stayed and wished and hoped that the 1/5 of a second part of his brain was somehow a one to five year mutation specific to the French people. I mean, who knows? He had a lot of other oddities like refusing to call me when he went out of town on business because he was in a different state, so I never knew what was possible. When I Monday Morning Quarterback my time with L’Homme, I’m guessing that my neural network must have become damaged during that initial 1/5 of a second excitement. And as much as I really do enjoy making fun of his ridiculous “I love you, but I’m not in love with you” statement, there is an element there that stings. Perhaps because of that, years later when someone else I thought the world of said the same thing-ish to me, it made me crumble. In this case it wasn’t yet a long-term someone in actual time, but he was already a lifer in my heart. In actual time, it was just someone I thought would be a lot longer-term than he turned out to be. Instead of using “the ‘L’ word” – which was, honestly-crazily, how he put it – he merely said he felt ‘great affection’ for me. Personally, I prefer my rejection straight-up. Sugar coated rejection like that is worse; it just makes you lose respect. I would have felt better if he had just said “I don’t love you and never will” because who wants to lose respect for someone they’re nuts about? My generally good intuition goes out the window when the adrenaline and the dopamine and the changing thought patterns and body image assessment and butterflies and palpitations kick in. One minute I’ve got good instincts and then a 1/5 of a second later, I’m that girl. The great affection guy? I was pretty sure he was feeling what I was feeling. Until The Great Affection Speech – which happened over the phone, incidentally. Then he stimulated my anterior cingulate cortex and all I could think was that some sugar coated rejection sure would feel realllllly good right at that moment. I used to say I was idealistic about love, but I’m realizing that’s just the polite term for unrealistic. The other night I had dinner with a co-worker and we got into one of the most intensely honest conversations I’ve had in a long while. Completely unexpected as I didn’t even know him well before that. I think we could be so honest because there wasn’t any ‘vibe’ between us. We focused on the big themes: what we wanted, what we couldn’t settle for, and lots in between. Turns out he feels the exact same way I do. There are others like me! But later, toward the end of the evening, I did an about-face on all that we had said and wondered if everything we had just spent the last two and a half hours discussing was merely evidence of our emotionally immaturity. As an example, I told him that I find it hard not to read signs into things when I like someone. I was making fun of myself and imagined that it wouldn’t be beyond me say, “Oh no, his favorite color is green…see we were meant to be together!” and all of a sudden, my dining companion got quiet and looked genuinely uncomfortable. 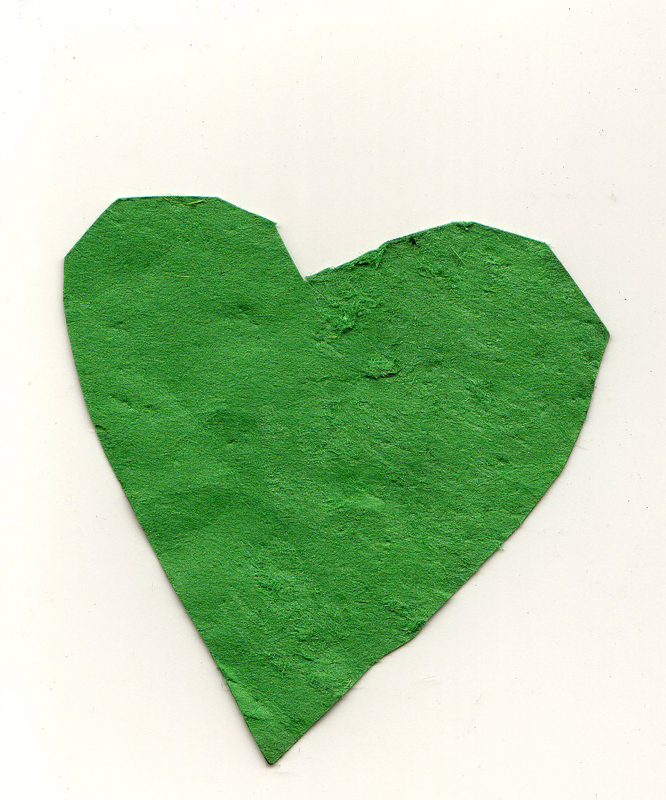 “Is your favorite color really green?” he asked. But I had, and suddenly there was no way we could resume the conversation. We immediately had to change the subject to work and ask for our check. Both of our favorite colors were green and you certainly don’t need a scientist to tell you that’s potentially very dangerous information.